Having a baby can be stressful at the best of times but there are definitely some things you can easily do to make it worse. Turning your home into a scene from a Sarah Beeny TV show is one of the simplest. Here are my top tips for despoiling your home life. As you may have gathered from my Sunday photo we’re having some work done on the house. It’s not even a massive project but it has certainly put me off home improvement for a long time. After renting for 14 years and moving ten times we finally managed to buy a two bed Victorian terrace in the far reaches of South London last summer. Shortly after we exchanged we got the wonderful news that we were going to have a baby. So, we stopped unpacking and shoved everything in the attic so we could concentrate on reading books about babies, panicking, and going to John Lewis. We managed to decorate the nursery but nothing much else got done. However, we knew that the two small downstairs rooms would eventually cause headaches when Baby B started crawling. 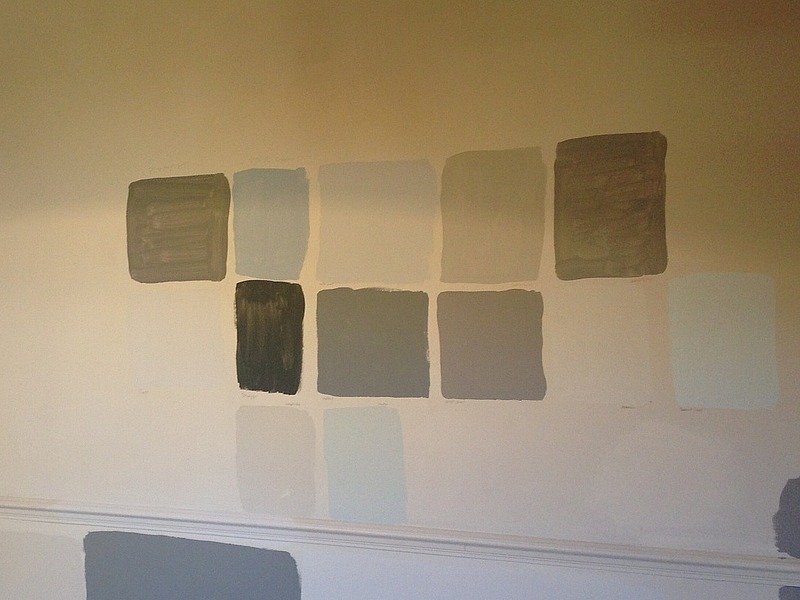 So we got some quotes for knocking the rooms through and chose a builder and then started painting little squares of paint on the wall to help us choose the colour for the new room. It took us a long time to decide as you can see. Once we’d chosen the colour the builders came and knocked the wall down and then I realised I couldn’t remember what the colour looked like and maybe we should have painted it on a wall that wasn’t going to be knocked down. Anyway, it’s been a week now and we’re having a ball, so here’s my top five recommendations for upping the baby related stress if, you know, maybe you’re a few months in and getting a bit bored and hankering for the full on cortisol-soaked days of early parenthood. Firstly measure your pulse. Normal resting beats per minute should be around 50 to 60. 1. Make the house really dirty. I’m not talking about a bit of mud that the cat has walked in with, or the thin layer of dust you get from not cleaning for two weeks because you haven’t slept. That’s the kind of dirt you eat for breakfast (if you still eat breakfast). No, what you want to do is cover the entire ground floor of your house with plaster dust at least an inch thick. The places it will lie best are your windowsills, kitchen worktops, baby’s high chair, oven hob, all over the kettle, the taps, the fridge, and all the radiators, so do make sure you don’t need to wash and dry any clothes. What do you mean your washing machine is never off? Well, here’s what you should do then. Make sure that the dust can make its way upstairs and cover all your clothes and the baby’s clothes in an invisible but definitely present film of grime. Then you can wash ALL THE CLOTHES IN THE HOUSE. TWICE. And remember there’s nowhere to dry them. Enjoy. Measure your pulse. It should now be around 70 bpm. Oh, did you forget to buy dust sheets for the furniture? Add another ten to that. 2. Create some new hazard areas. When you had a baby you probably went around making sure the house was as safe as possible. When your baby started crawling you probably checked it all again and thought it was ok. Then you spent the next week tearing around after your baby noticing all the bear traps and sink holes, and electricity substations someone left lying around. Well, the simplest thing to do if you’re feeling a bit bored of the whole Health and Safety regime is to ask some builders to leave a gaping hole in your floorboards just wide enough for a baby to fall into but too narrow for you to get down. Add some sharp rubble under the drop. While they’re at it make sure to leave a couple of live electrical sockets hanging out of a wall. Now tear up your carpet. 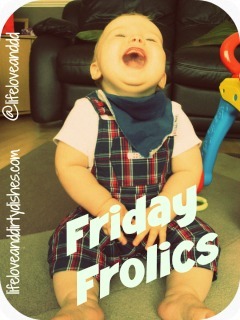 There should be a few nice splinters or loose nails there for your baby to crawl onto. Finally, scatter a few power tools around. That was easy wasn’t it? You should now be confined to the upper floor of your house. Sweet. Pulse rate should now be around 90 bpm. 3. Move everything you own into your bedroom. Actually you’ll want to do this before step one unless you really are some kind of crazy masochist. OK. So how much room do you have to get out of bed, get dressed, generally move around? Ideally leave around ten inches so you can shuffle sideways but not walk normally. Leave a few traps lying around, don’t stack things neatly and sensibly. Now turn all the lights off and see if you can get to the baby’s room at speed. Now check what’s broken. Now check if you’re broken. Glass objects can be balanced precariously near the bed so you can kick them over in the night. Perhaps there’s a vase you’ve always hated? Now’s your chance to dispatch it with the perfect alibi. During the day see how long you can entertain your baby within the confines of the bed. Remember, you can’t go downstairs with him. And he will try to fall off the bed every five minutes. You’re probably ready to leave the house now. If you can actually leave the house. Nice. Pulse is ideally now around 110 bpm. 5. Leave home. By now you’ll want to get the f*ck out of your own house. If you have cats make them a temporary home in the shed. If you’re on maternity leave go back to your mum or dad’s place with the baby. If you’re a working dad (or mum) and not currently the main carer for your baby, start calling mates you haven’t seen in months and ask them to go for a drink. If they sound puzzled don’t mention the house just say you really miss them. Go to see random films. Wander the streets. Work late. When you do return home make sure you trip over something and hurt yourself. Now try to cook a meal. Give up, get a takeaway. Remember there’s no TV. And nowhere to sit. Go outside in the rain and stand in the yard and look back at your house that cost you loads of money, and you saved for years, and it was alright really and then start really missing your other half and your baby. Drink more beer. Walk sideways to bed and lie in the dark listening to your house creak. The steel post holding it up DEFINITELY didn’t wobble when you were staring at it earlier. Cry. Pulse. Well, just check it’s still there. Hey! It’ll be alright. When it’s all over our house will look like this! Hope you found these tips helpful. Feel free to share your home improvement experiences below! It certainly does! Although we still seem to be living in chaos. Oh yeah. That’s because we have a toddler! It’s actually all sorted now and looks great. I need to update the post! Glad you enjoyed it. Wow. Yes, that looks fairly spectacularly stressful. Because, you know just having a baby isn’t stressful enough! Thanks for reading. It was all worth it but at the time we did wonder what we’d done! Love this and think I have been following the rules very well for the last 5 years at least! Haha! That sounds like a nightmare. Building control coming tomorrow. Fingers crossed!